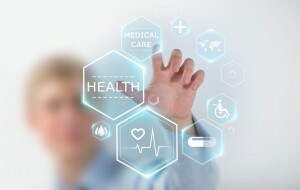 The healthcare industry as a whole provides both products and services that stand to gain considerably from a focused effort on market research. In Baltimore, the healthcare industry is a major economic driver with many of the top employers in the region including; Johns Hopkins Medicine and the University of Maryland Medical System, and MedStar Health. Baltimore’s #2 national ranking of Active Physicians per 100,000 residents speaks to the availability of care to Baltimore area residents. Earlier this month we surveyed nearly 2,000 Baltimore residents to learn more about their healthcare service experiences. The responses were overwhelmingly positive and further strengthen Baltimore’s position as a leading healthcare market in the U.S. Whether you are looking to speak with healthcare professionals or patients, there is value in expanding beyond surveys to gain insights. The Healthcare Industry is people-centric and the best way to expand and/or improve products and services is to speak directly with those people. Focus groups are great for clients seeking to gain insights from a variety of individuals in order to bring a new product or service to market. Focus groups tend to provide more “A-Ha” moments than one-on-one interviews, as perspectives come from a variety of sources. Most groups last between 60-minutes and 120-minutes and there is no limit to the number of groups needed to capture the desired insights and outcomes although in our experience, most projects range between 2-5 groups. In-depth interviews (IDIs) provide clients an opportunity to speak directly with consumers or healthcare professionals in a more private one-on-one setting. Since many healthcare research projects can be sensitive in nature, this private setting creates a more comfortable atmosphere for capturing valuable insights. Most interviews last anywhere from 20 to 90-minutes and can be conducted in-person or over the telephone (TDIs; doctors love being able to contribute from the comfort of their own office). Depending on the nature of your research, the number of interviews could range anywhere from 5-20. Understanding the patient experience is a hot topic these days. Hospitals are always looking to identify ways to improve their services. Researchers are able to interact with participants during various stages of the process when seeking out and receiving treatment. Through the collection of observational data and direct interview feedback, clients can identify gaps or areas of improvement that might not be captured in a patient survey. Ethnographies can range anywhere from 30-minutes to 3-hours and usually occur at the participants home or another location relevant to the research with 6-10 ethnographies. With healthcare costs on the rise, many families, seniors, and disabled individuals need to opt out of healthcare programs simply because they cannot afford them. As over 109 million Americans suffer from chronic diseases like cancer, obesity, and heart disease, personalized medicine and healthcare programs are becoming the most successful healthcare brands. These brands need market research in order to be successful in an evolving environment. If you are able to obtain the right insight from consumers and medical professionals, you’ll be able to market your healthcare products and services effectively and profitably. If you know your target audience, you’ll be able to create platforms they will pay attention to and understand. This entry was posted on Wednesday, October 18th, 2017 at 1:56 pm. Both comments and pings are currently closed.